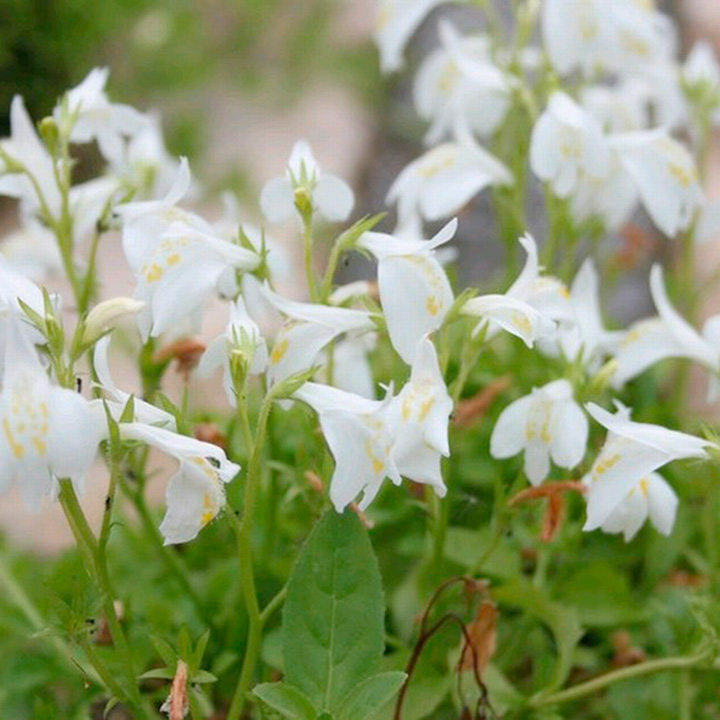 A native of the Himalayas, it is a low creeping marginal that forms dense mats of white flowers that flower prolifically throughout the summer. Low maintence. Trim foliage to tidy if required. Minimum height 2cm; maximum height 5cm. Maximum depth 5cm. Slow growth rate. Available in two pot sizes: 3 x 9cm pots or 1 x 1 litre pot.